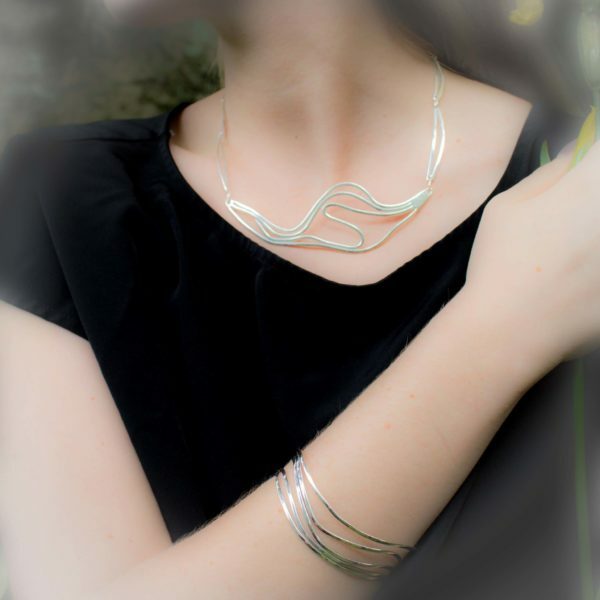 Shake up your style with Chaos Art Jewelry. 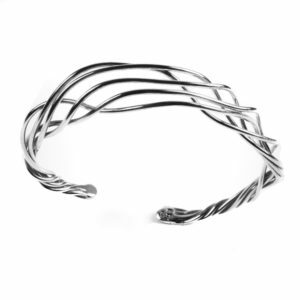 Because each piece is hand crafted from solid silver, every piece is unique and may vary slightly from picture shown. 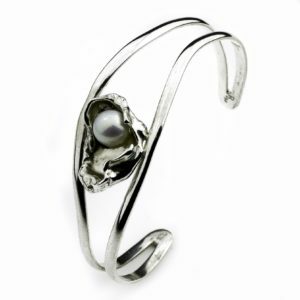 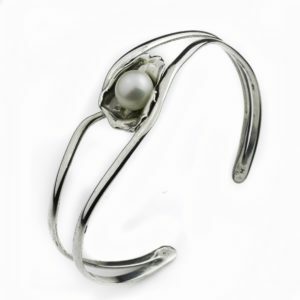 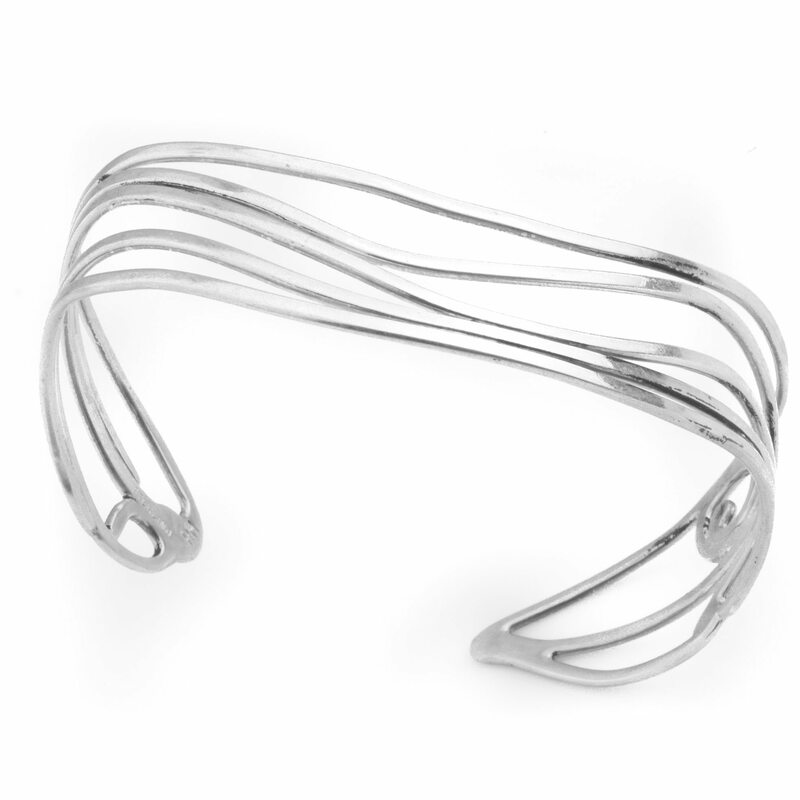 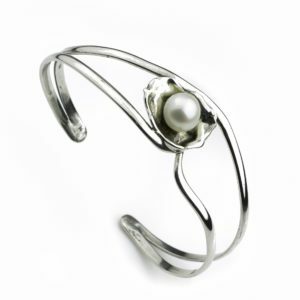 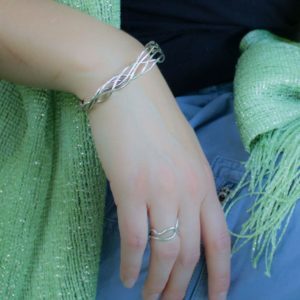 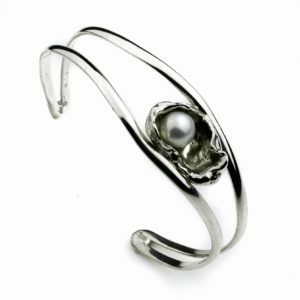 This silver bracelet is lightweight and designed to fit comfortably around the wrist bone. It is made from tarnish resistant 16 gauge silver. 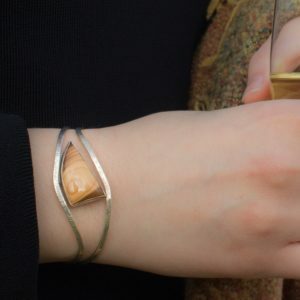 The slip-on opening will naturally conform to your wrist over time. Light in weight and strong in style, these bracelets are perfect for a workday followed by a night on the town. 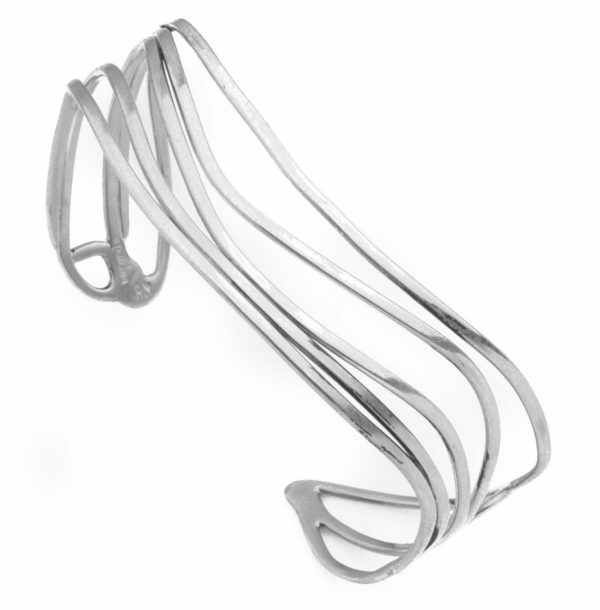 Fluids move in beautiful ways. 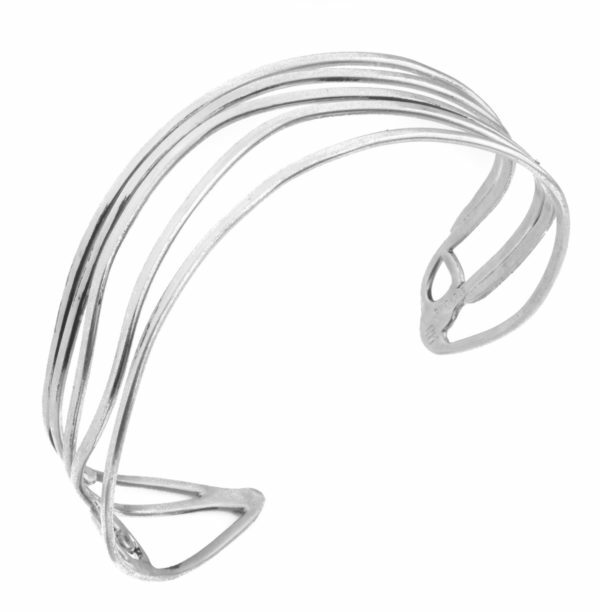 Flow Jewelry is an artist study of fluids in motion. 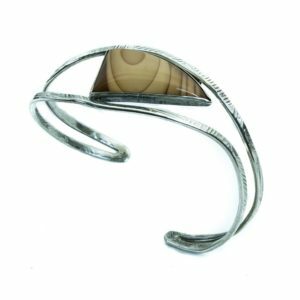 Enhance your fashion experience with this art jewelry inspired by streamlines, chaos, and the vortex. 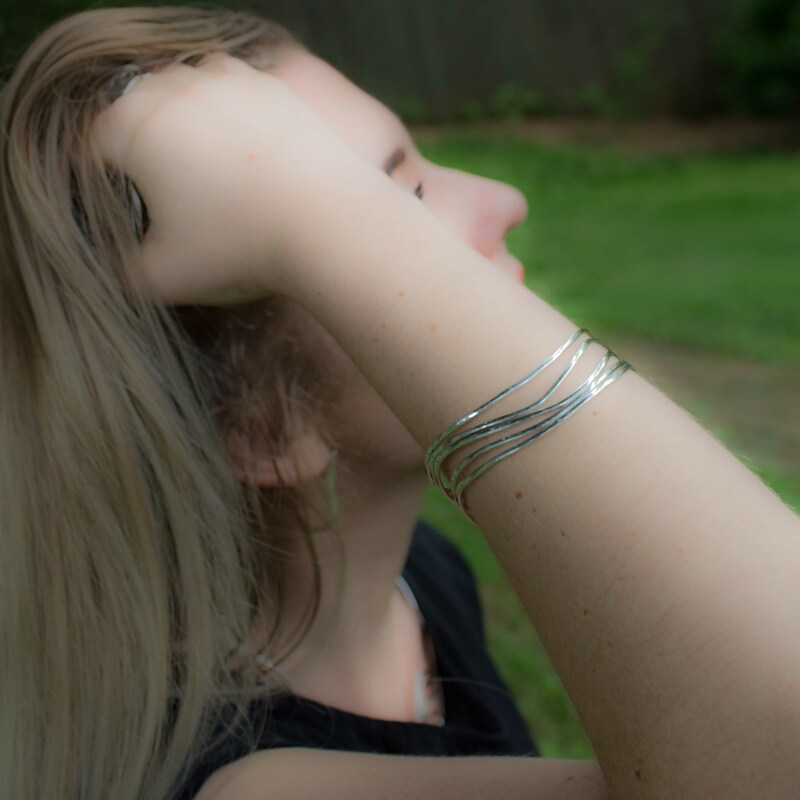 Shop the entire Flow Jewelry Collection now or Learn more about the Flow Jewelry Collection.